The members of Alpha Sigma Tau Sorority, Inc. proclaim April 11th of each year to be observed as Carrie Washburne Staehle Day, to honor Alpha Sigma Tau’s third National President. Mrs. Staehle has never ceased contributing to her beloved Alpha Sigma Tau. 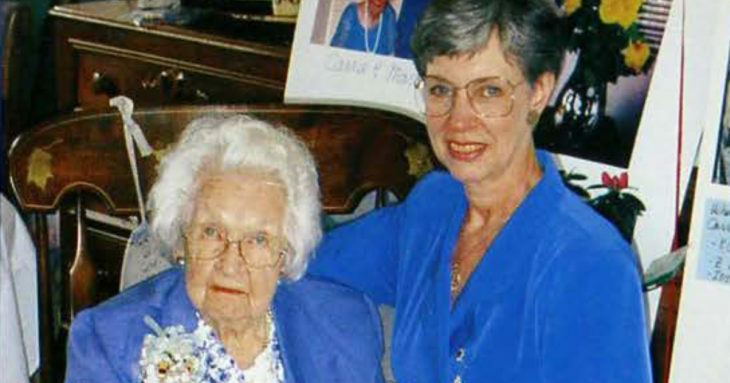 Presented to Carrie Washburne Staehle, Alpha, on the occasion of her 100th birthday by then National President Martha DeCamp, Alpha, the official Sorority proclamation designated April 11 as Carrie Staehle Day. The proclamation was announced to our Sisterhood in the Spring/Summer 2000 issue of The Anchor. Carrie received her pledge ribbons at the home of Ada A. Norton and joined our Sisterhood on January 12, 1924, beginning a journey that spanned more than seventy-five years. 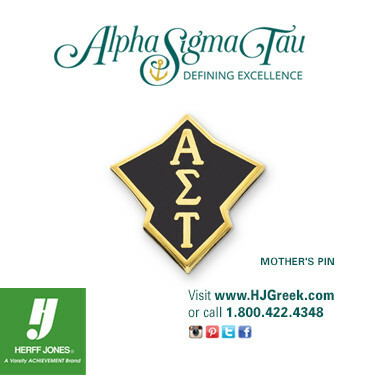 She is quoted as having once remarked that next to raising her sons, Alpha Sigma Tau was her most treasured accomplishment. When Alpha Sigma Tau became a national sorority in 1925, Carrie Staehle (then Carrie Washburne) was elected National Treasurer. Although she had just graduated from Michigan State Normal College in Ypsilanti and was the youngest member on the National Council, she was already well-known within the Sorority having served a year on the committee to make plans for the first National Convention in Detroit. 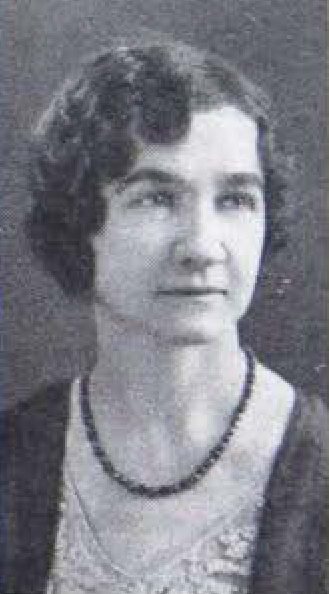 Carrie held the office of Treasurer until her election as President in 1934. Upon her election to the office of National President, Carrie wrote, “I rejoice that back in 1924 I joined the Alpha Chapter of Alpha Sigma Tau. 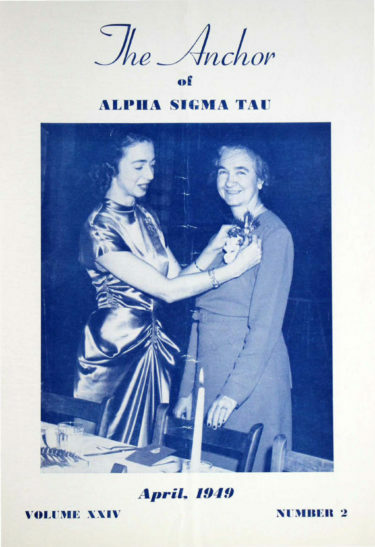 The friendship, inspiration, and ideals gained from sorority life have been most worth while.” Read the rest of her thoughts on becoming National President in the December 1934 issue of The Anchor. As National President from 1934 to 1949, Mrs. Staehle was responsible for establishing an efficient business organization of the Sorority. She brought a feeling of unity to far-flung collegiate and alumnae groups and inspired many members to cooperate in a broader national-mindedness. Among her specific accomplishments were the establishment of the Central Office; appointment of alumnae representatives for every chapter; publication of sorority literature such as the Central Office Bulletin, alumnae newsletters and others; increased the financial resources through an endowment fund and life memberships; directed the beginning of national social service work; and instituted a program for cultural study in the collegiate chapters. It is safe to say that if Carrie Washburne Staehle had not become president in 1934, Alpha Sigma Tau would probably not exist today. Her intelligent and foresighted leadership, unstinting devotion, and prodigious efforts on behalf of Alpha Sigma Tau have been an inspiration to Alpha Sigma Taus across the nation. Few others in our almost 120-year history have had as dramatic of a lasting influence on our growth and development than Carrie Staehle. Read more about Carrie’s legacy here. Log in to AΣT Connect! Update your info, connect with Sisters, and more! Log in with your AΣT Connect, Officer Portal, or GINsystem credentials. Don’t have an account yet? SIGN UP. Click here if you forgot your user name or password. Sorry there was a problem with your credentials.